Follow our live coverage from National Harbor, Maryland, as executives and agents from around Major League Baseball meet and make deals at their annual winter meetings. All times Eastern. NATIONAL HARBOR, Maryland — The words were earnest and without sarcasm, which made it that much more amusing. 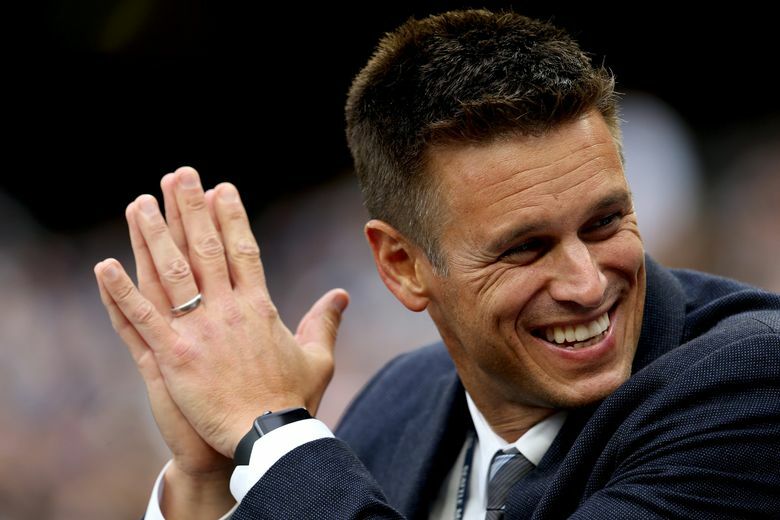 Sitting in his room at The Gaylord Resort and Convention Center, general manager Jerry Dipoto was discussing the starting pitching market and the Mariners’ quest to acquire another proven big league starter for a starting rotation in need. “I’ve said it openly many times — our progress these last two offseasons aside — it’s hard to make trades in this league, really hard,” he said. It did raise a few eyebrows and elicit a few chuckles considering Dipoto has seemingly made 4,567,875 trades since taking over the GM duties. Ok, that’s an exaggeration. But he has made six trades since Nov. 7. Yet in the chaos that is the winter meetings and with the demand for starting pitching increasing with each day, the right deal to find a No. 3-4 starter for the Mariners rotation isn’t simple. “We’ve had a fair amount of discussion today, both in our room talking about different targets and we’ve talked to a couple of different teams, but nothing, I would say, is imminent,” Dipoto said. If Dipoto is able to make a trade — his preferred method of acquisition — to bring in a starting pitcher, it could happen during the next few days of the meetings. “I feel like that’s the most likely scenario is if we do anything here in D.C it would be via trade,” he said. With Rich Hill, who was the top free agent pitcher in a bad market, signing a three-year, $48 million contract with the Dodgers, the free agent options have become less attractive. Coming into the meetings Dipoto felt like adding a free agent pitcher would be more of a protracted search that could spill into January. That feeling hasn’t changed. “As the market unfurls, I think much of the free agent market is going to be slow-played by the fact that there are more teams talking about trades than there normally are this time of year,” he said. The Mariners aren’t the only team searching the trade market for starting pitching. “Most of the time, the majority of the league comes to the winter meetings looking for pitching,” he said. One team that isn’t looking for starting pitching is the Dodgers. After dealing with a rash of injuries to their starting staff last season and the subsequent moves to survive, it left them with a glut of starting pitchers under contract for next season. Their projected starting rotation would be Clayton Kershaw, Hill, Kenta Maeda, Julio Urias with an open fifth spot up for competition with more than five pitchers as candidates. To trim that pool, multiple outlets reported that the Dodgers trying to trade away some of the surplus arms while also shedding some payroll to avoid further luxury tax issues. Specifically, they are trying to move two of the more costly and somewhat injury prone starters in Scott Kazmir and Brandon McCarthy. Dodgers' 40-man roster at 39. They can't add Hill + anyone else until they clear spots. They are shopping Scott Kazmir, McCarthy, others. A baseball source said the Dodgers are “desperate” to trade both pitchers and remove their salaries from a bloated payroll. A potential trade for either does fit the prospect-thin Mariners in the sense that they could assume some or all of the large salaries for either pitcher while not having to give up as much in return. Both certainly come with glaring risks. Kazmir, who turns 33 in January, made 26 starts last season, posting a 10-6 record with a 4.56 ERA. n 136 1/3 innings pitched, he struck out 134 batters with 52 walks. But he also battled neck issues that led to periods of ineffectiveness. He went on the disabled list in August because of the neck and the Dodgers never brought him back for the postseason. There is some thought that Kazmir breaking down physically. He does have plenty of experience in the AL West having pitched for the A’s, Astros and Angels in his 12-year career. He’s under contract for 2017 ($16 million) and 2018 ($16 million), which isn’t an insignificant sum of money for the Mariners. Sources said the Dodgers might be willing to pick up some of the money owed in exchange for additional prospects. McCarthy, 33, has thrown a total of 63 innings over the past two seasons because of injury issues. The Dodgers signed him to a four-year contract before the 2015 season. But a month into the season he suffered a torn ulnar collateral ligament in his elbow and underwent season-ending Tommy John surgery. He returned to the big league mound on July 3 last season, making nine starts and a relief appearance with a stint on the disabled list because of hip issues. He posted a 2-3 record with a 4.95 ERA. Beyond the injuries, there was also a concern about McCarthy developing “The Thing,” which is a highly technical baseball term for being unable to throw strikes for physical or psychological reasons. In three starts in August, McCarthy walked a total of 15 batters — five in each outing — over eight innings pitched. Despite the possible “yips” and a greater injury risk, McCarthy is a cheaper option being owed $23 million over 2017 and 2018. Both pitchers have proven upside, having had legitimate big league success in their careers. Still there is a greater level of risk in their acquisition with their injury history. *** Catcher Jesus Sucre has signed a 1-year contract with the Mariners to avoid arbitration. Sucre is in his first year of arbitration eligibility. He will reportedly receive a salary of $630,000. But that’s contingent on him making the big league roster. He’s out of minor league options and will likely be designated for assignment before opening day. If he clears waivers and is outrighted, he’ll get $300,000 for the season. Sucre appeared in nine games with the Mariners in 2016, hitting .480 (12-for-25) with two doubles, a homer and five RBI. *** Reliever Steve Cishek (hip surgery) is expected to be ready to pitch in April, but Dipoto wasn’t certain that Cishek will be ready on opening day. *** Reliever Tony Zych (shoulder surgery) is rehabbing in Arizona and is expected to be healthy and ready to go when pitchers and catchers report on February 14. *** The Mariners have signed right-handed pitcher Christian Bergman to a minor league contract with an invite to spring training. Bergman was a six-year minor league free agent in the Rockies system. He’s made 55 appearances at the MLB level, including 15 starts while posting a 7-9 record with a 5.79 ERA. “He’s a super strike thrower,” Dipoto said. *** Dipoto said that he will allow Nelson Cruz and Robinson Cano to participate in the Dominican Winter League to get some game action before the World Baseball Classic. He also confirmed that Danny Valencia is expected to represent Israel in the WBC. Major League Baseball released a preliminary list of players committed to playing in the World Baseball Classic. Three expected names from the Mariners were on the list: Felix Hernandez, Robinson Cano and Nelson Cruz. All three said they had planned to participate back in August. 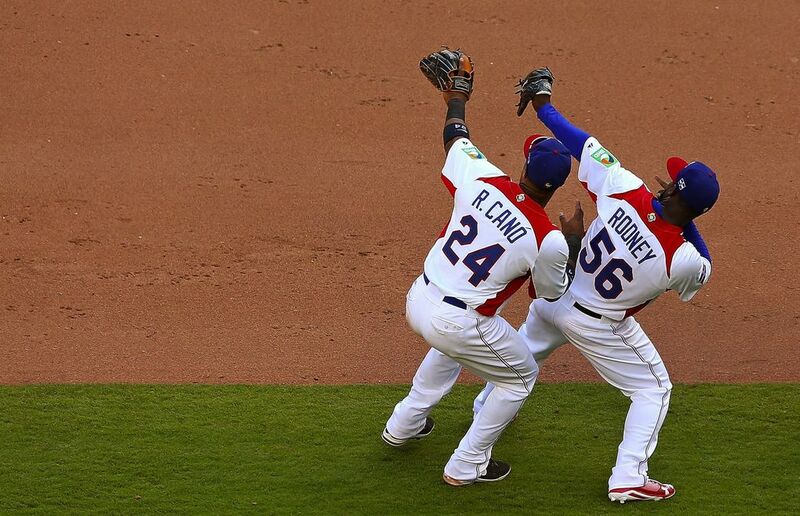 Hernandez is expected to pitch in the Venezuelan winter league to prepare, while Cano and Cruz have both asked permission to participate in the Dominican winter league to get some at-bats as they get ready for the WBC. Besides those three, Mariners’ prospect Tyler O’Neill confirmed that he has been asked to represent Canada and will play. Pitcher James Paxton also hopes to play for Canada if possible. Closer Edwin Diaz also plans to play for Puerto Rico. Catcher Mike Zunino had hoped to play for Italy in the WBC. But a source for Italy’s WBC team said that Zunino is unlikely to receive an invite with Francisco Cervelli and two other catchers having already committed. Outfield prospect Dario Pizzano has also expressed an interest in playing for Italy. Joaquin Benoit’s one-year deal with the Phillies will pay him $7.5 million, according to a source. That is what he made in 2016, too. Ex-Mariner alert … Joaquin Benoit still getting paid. At age 39 (he turns 40 in July), he had a 1-year deal with the Phillies. Benoit was pretty mediocre for Seattle in the first half of last season. He was dealing with some shoulder issues and couldn’t pitch back to back days early in the season. He posted a 5.18 ERA in 26 appearances. In 24 1/3 innings pitched, he struck out 28 batters but also walked 15. Benoit was traded to the Blue Jays at midseason for Drew Storen. With Toronto, Benoit posted a 0.38 ERA in 23 appearances. He allowed just one earned run in 23 2/3 innings pitched with 24 strikeouts and nine walks. His season ended prematurely when he suffered a calf injury while running in from the bullpen during a bench-clearing brawl. 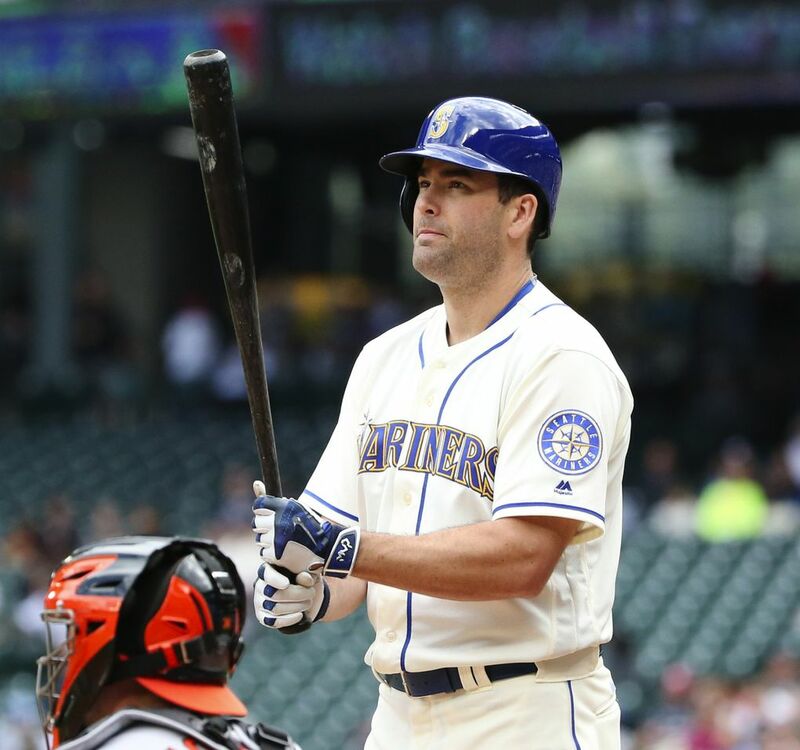 The Mariners are listening to offers on outfielder Seth Smith and could possibly trade him here at the meetings. Seattle picked up the $7 million option on Smith for 2017, but has always been willing to listen to offers on him. While they like his bat against right-handers, Smith is somewhat expendable given the glut of young outfielders that they’ve acquired in the offseason. There is belief within the organization that Mitch Haniger, who was acquired along with Jean Segura and Zac Curtis from the Diamondbacks, could be an every day outfielder this season, likely in right field. That money owed to Smith could be valuable if Seattle is able to land a higher level starting pitcher. In a platoon role, Smith hit .256 with a .782 OPS, 13 doubles, 16 homers and 58 RBI vs. right-handed pitchers last season. If you were hoping that the Mariners were going to sign free agent Rich Hill, you can give up the dream. The Mariners really weren’t that interested in Hill this year. The price tag as evidenced below was simply going to be too high for them. Hill turns 37 in March and has some durability concerns. He was one of the top free agent pitchers on the market. The deal for Rich Hill is three years and $48 million. Joe Beimel is here at the MLB winter meetings with his agent Michael McCann of McCann-Frye. He’s hoping to meet with teams and get a non-roster invite to spring training. Beimel, who turns 40 on April 19, made 12 appearances with Class AAA Omaha last season, posting a 4,30 ERA in 12 appearances. His last big league stint came with the Mariners in 2015. He made 53 appearances with Seattle, posting a 3.99 ERA. He’s still in great physical shape and has been on a throwing and arm strengthening routine. I've never been the biggest fan of the "rocker" drill. It has always felt awkward to me so today I decided to modify it to get what I want out of the drill. By starting on my knee I can really feel that front leg bracing and pushing back into my body as my trunk slingshots over it. 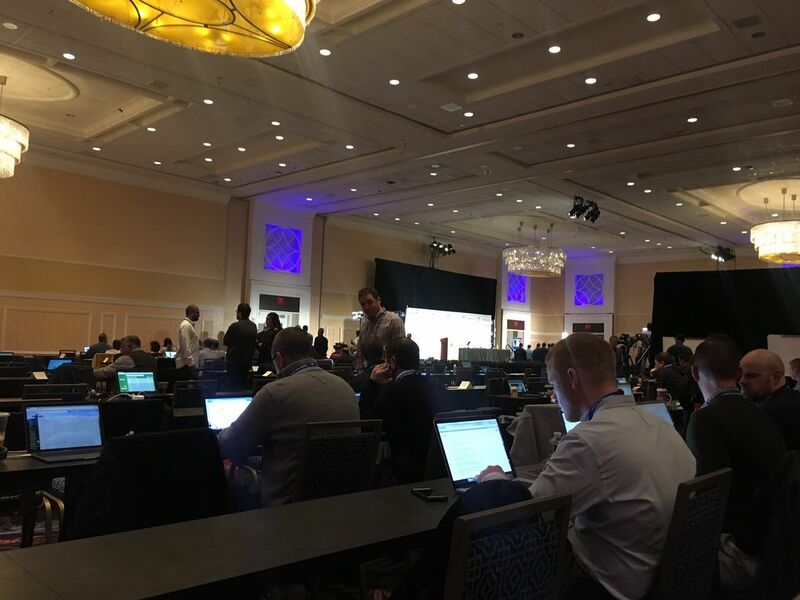 This is the media work room (below). To quote the great scout Obi-Wan Kenobi: “You will never find a more wretched hive of scum and villainy.” Ok, maybe it’s not that bad. But you won’t find a larger collection of poorly dressed, out-of-shape, middle-aged white men, who spend all day looking at Twitter and listening to Springsteen on Spotify. Greetings from The Gaylord Resort and Convention Center in National Harbor, Maryland. The Major League Baseball Winter Meetings officially began this morning. The Mariners contingent arrived on Sunday afternoon. No trades or deals have been made yet by general Jerry Dipoto, but wait an hour or two. The Mariners’ No. 1 priority before spring training is to add starting pitching depth. With the trade of Taijuan Walker to the Diamondbacks, there is a hole in the starting rotation. Felix Hernandez, Hisashi Iwakuma and James Paxton have spots locked up. There are two remaining spots for Nathan Karns, Ariel Miranda and Rob Whalen to vie for. But really, Dipoto would like to add a proven No. 3-4 starter and have those three young pitchers compete for the fifth spot. Dipoto could also add another younger pitcher similar to Whalen besides the veteran arm to provide extra depth. The process for these additions isn’t simple with many teams not wanting to give up starting pitching with a thin free agent market. Dipoto always prefers to go the trade route. But the Mariners do have some money to go the free agent route. Here’s a look at the Mariners’ 40-man roster and payroll obligations. The problem with free agency is that the starting pitching market is pretty slim on talent. You could end up overpaying for a mediocre pitcher. Last offseason, No.3-4 starters were going for about $12 million at season.